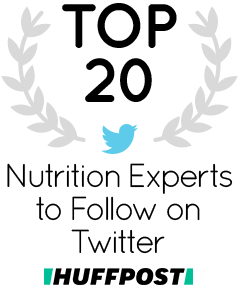 Most of you have told us you love to hear what nutrition professionals choose as their New Year’s Resolutions. Meet our amazing intern Morgan Deihs. You’ll be inspired by her resolution and probably can relate to her issue and we’re sure Morgan’s resolution will give you some ideas as to how to address it! As I enter the last semester of my undergraduate career, I find my stress level at an all time high- applying to grad school/ moving on into the real world/figuring out what it is I want to do with my life/ etc…. All of this making it very easy to slip up my eating habits as I put other priorities ahead of them. I’ve recently found myself mindlessly snacking while studying, grabbing something quick and less healthy while running out the door, or often eating just to calm my stress. My goal for this coming year, however, is to adapt a structured eating plan of 3 meals and 2 snacks. Having followed this plan previously, I felt much more in control what I was eating. It was easier for me to plan out my meals and thus eat healthier because I either had them prepared or had previously bought all of the ingredients to make them so I wasn’t grabbing foods impulsively when I wanted to have something to eat. In addition, by eating a snack between breakfast and lunch and another between lunch and dinner, I was able to curb much of that hunger that developed throughout the day and as a result, ate less during the actual meal. I am always sure to get adequate protein at meals, especially at breakfast time! Protein at breakfast keeps me full and satisfied until my mid-morning snack and gives me a surge of energy to start the day. In fact, one of my favorite “Go To” breakfast recipes is the Avocado Egg Sandwich. (See recipe below.) It’s less than 160 calories and has 11g of Protein. The addition of avocado gives it a creamy texture and provides healthy fats instead of using butter. I absolutely LOVE this recipe and find myself making it all the time- even before early classes. 1. Place slice of bread or pita in toaster and toast until lightly browned. 2. Spray cooking pan with nonstick cooking spray. 3. Pour egg whites into pan. 4. Once eggs bubble, flip. Cook until fully cooked. 5. Meanwhile, using a fork and mash avocado until chunky. 6. Remove bread from toaster and spread mashed avocado on it. 7. Add a slice of tomato on top. 8. Finally, add cooked egg white and tomato. 9. Sprinkle with a dash of pepper and salt (optional). Along with my goal to follow a structured eating plan this year, I have also made it a goal of mine to increase my appreciation for food. After traveling abroad for 4 months, I was able to experience the beauty of food and all that it has to offer in our lives- not only is it the fuel for out body to thrive, but it is also what brings us together… in celebration, at the dinner table at night, and even in making life long traditions. I am making it a goal to love and cherish what I eat. I would like to embrace the joy food can bring to my life instead of dwelling on the negative connotation that certain foods often receive. While I still make it a life goal to adapt a healthy lifestyle full of healthy foods, I am now going to make it a goal to thoroughly enjoy the food I eat and the experiences that surround those foods. Moreover, ultimately forgiving myself at times when I may slip up but always remembering how important it is to quickly jump back in to the swing of things! Place slice of bread or pita in toaster and toast until lightly browned. Spray cooking pan with nonstick cooking spray. Pour egg whites into pan. Once eggs bubble, flip. Cook until fully cooked. Meanwhile, using a fork and mash avocado until chunky. Remove bread from toaster and spread mashed avocado on it. Add a slice of tomato on top. Finally, add cooked egg white and tomato. Sprinkle with a dash of pepper and salt (optional).